If you’re an avid console gamer who happens to let Sony handle your video-gaming needs, then the chances are that you’re already happily gaming away on some PS4 hardware with the latest 3.50 software installed on it. Part of Sony’s latest software update is the extension of Sony’s Remote Play capability to include Mac OS X and Windows PCs into the fold. This new addition affords gamers with the luxury of playing their favorite PS4 games on a computer, but how does it work? We show it all here. 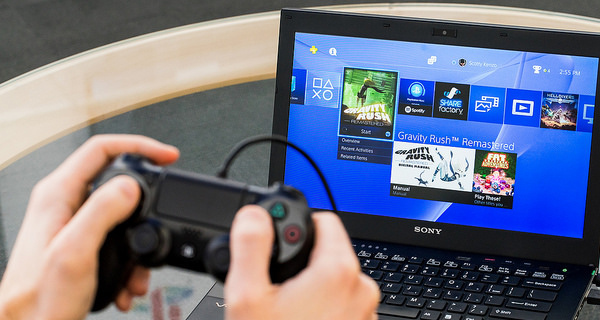 First and foremost, Remote Play requires a PlayStation 4 console running software version 3.50 or later. If you still haven’t updated your console, do it right away. You should also have a working PSN account. The console should also be connected to a decent internet connection. Sony recommends a 12 Mbps up/down connection for the best experience, but 5 Mbps up/down is the minimum required. Anything less than that and it’s likely that difficulties will be experienced when trying to interact with PlayStation 4 content on a connected PC or Mac using Remote Play. PC users will require Windows 8/8.1 (32-bit or 64-bit) or Windows 10 (32-bit or 64-bit) running on a machine that is powered by at least an Intel Core i5-560M 2.67GHz processor coupled with at least 2GB of RAM. There should be at least 100MB of free storage space on the hard disk and the PC should be connected to a high-speed internet connection of at least 5 Mbps, as mentioned earlier. Also needed will be a USB cable to connect the DUALSHOCK 4 controller with the PC. MacBook or iMac users will need to be running OS X Yosemite or OS X El Capitan with the machine being powered by at least an Intel Core i5-520M 2.4GHz processor, coupled with at least 2GB of RAM. There should be at least 40MB of available hard disk space. Just like with the Windows PC, the Mac should be connected to a high-speed internet connection of at least 5 Mbps upload/download speed. And again like the PC, a USB cable will be required to connect the DUALSHOCK 4 controller with the Mac. If the above requirements and technical criteria are all met, then Remote Play is yours for the taking. Follow the link here to download the PS4 Remote Play app for Windows or Mac, and then follow the instructions as shown in the videos embedded below to setup and play PS4 games on the computer. The direct tangible benefit to owners in this instance is that they will now be able to control a connected PlayStation 4 console directly from a PC or Mac literally from anywhere in the world with an active and compatible internet connection. Stuck in the office and want to make sure you have the latest firmware on your PS4? It’s now a doddle. On vacation and want to have a sneaky game of FIFA or Call of Duty? You guessed it. Remote Play has you covered as long as your PS4 is connected to an active internet connection at home. Check out the videos below to see it all in action on how to get up and running with Sony’s PS4 Remote Play on Windows or Mac. Is there a way to use your earphones as microphone during remote play?